Castlegrace Paddy could be added to a stellar line-up for the Red Mills Chase at Gowran Park. Cheltenham Gold Cup favourite Presenting Percy, the 2017 winner Sizing John and Willie Mullins’ Al Boum Photo have all been pencilled in for the contest already. Pat Fahy’s Castlegrace Paddy was an early casualty in the Dublin Chase on Saturday won by Min, but was an impressive winner of the Hilly Way Chase earlier in the season. 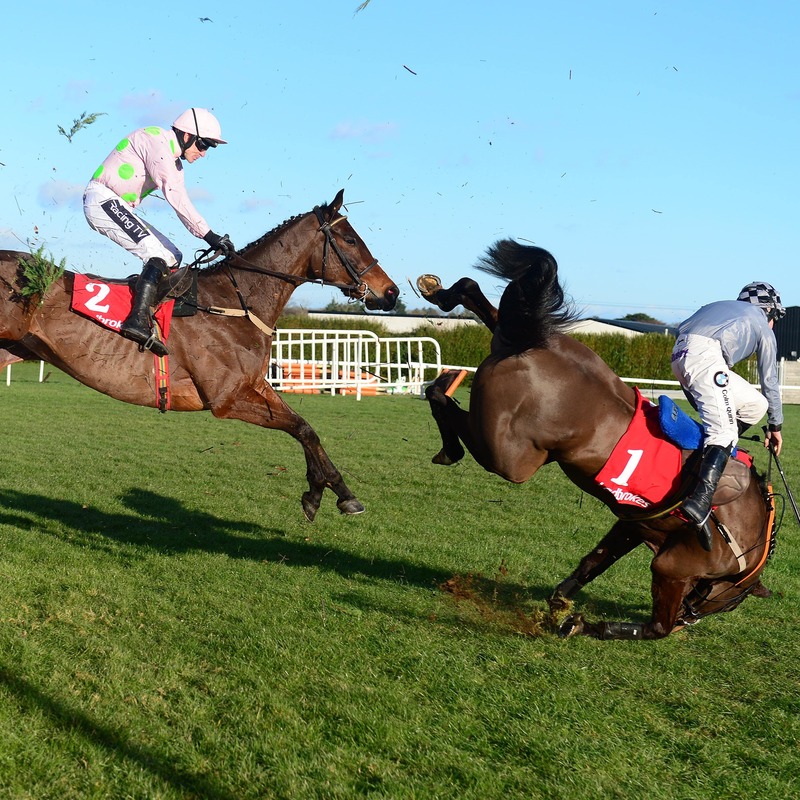 “It was very disappointing because I thought the one thing we could rely on was his jumping,” said Fahy. “At Punchestown last season, he was careful at the first and we thought he didn’t jump well enough to be a top two-miler, but this year he’d been excellent. “He ran down to the first and just didn’t jump it, it was most unusual. “We’ll see how he is and make a plan. He was a bit sore on his shoulder, but hopefully he’ll come right soon. It’s changed the plan we had, anyway. It capped a miserable weekend for Fahy who only had one other runner, the well-fancied Dunvegan, but he disappointed and returned clinically abnormal. “That’s the game we’re in, unfortunately, you can never think you’ve got it sussed, but it certainly makes the good days sweeter when you have setbacks,” he said.